UK Vehicle Data Ltd offer a unique way to obtain access to the UK MOT Database via API or bulk upload. Using our officially licenced data we are able to provide bulk cleansing or API access on a per lookup basis. 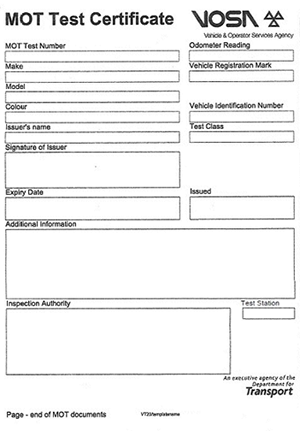 The UK Vehicle Data MOT API and bulk check system is made available through our Panther API. Giving full information regarding current and historic MOT status as well as all failures and advisories. When combined with the DVLA data set here, it can give a valuable insight into a vehicles current condition, possible clocking and potential future cost of ownership. We hold MOT history since 2006 in most cases. Provide your software, Dealer management portal or Fleet portal with correct MOT data. Use our API or our Bulk system to get your customers vehicle data up to date. 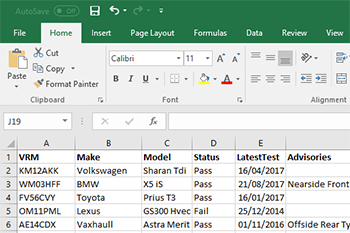 One of our standard bulk report templates consists of: Make, Model, Fuel, Colour, Last Keeper change Date, MOT Status, Last Test Date, PRS Status, Advisories, Failures, Mileage, Test Number. You can Demo bulk lookup through your control panel, just sign up for the free trial.